The most important day of your life deserves the best. You probably dreamt about it when you were little, and it has finally become a reality. It’s an event laden with emotions and expectations; a day you will always remember, like a fairy tale with a lovely happy ending. That’s why you want everything to be perfect, exactly as you imagined it. We are here to shape your dream. 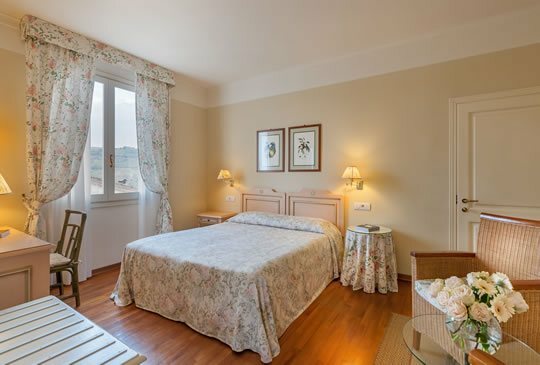 We are in one of the most beautiful areas of Tuscany, set amongst the Val D’Elsa hills and the silent countryside. Here begins the magic. The colours, the smells, the pleasure and enchantment that certain views evoke, the intimate stillness; all have something fairy tale-like about them. This is where you’ll experience your fairy tale, surrounded by centuries of Italian history. Trust our expert wedding planner to organise your wedding lunch or dinner. 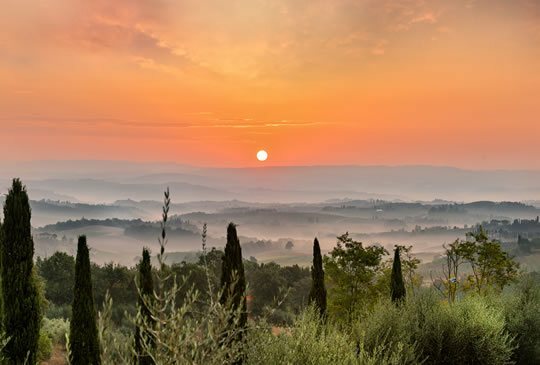 She’ll be by your side in the selection of the ideal location, offering you various choices: the romantic atmosphere in the garden; the intimate open space terrace; the elegant panoramic restaurant “LAMPOLLA”, from where you can admire the magnificent colours of the Chianti hills. 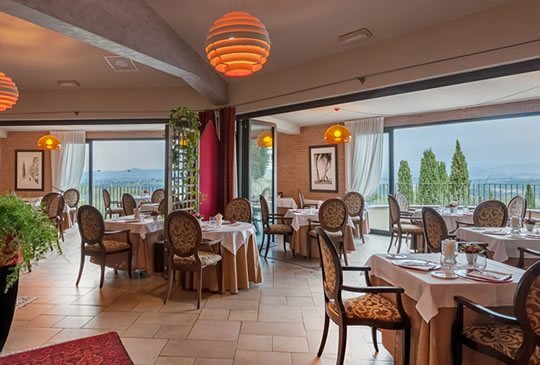 Our chefs will customise your menu, inspired both by Tuscan cuisine and Italian culinary traditions. Now you can relax completely, and together with your spouse enjoy all the attention you want: from the romantic Suites to the rooms in our 19th century villas overlooking the mediaeval hamlet, San Gimignano; from packages and rituals for couples in our 1000 square metre Spa, to your exclusive dinner by candlelight in our Enoteca, and the breakfast corner of Tuscan produce conveniently served in your room. Our dedicated staff is at your disposal for any information.